The compelling education, authentic experiences and intentional connections found only in the ILEA community come to life at ILEA Live to inspire creativity that will foster business success. 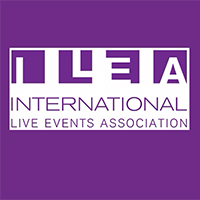 The International Live Events Association (ILEA) is a global community of thousands of creative event professionals whose skills, expertise and experience power some of the most influential live events around the world. ILEA is a community centered around celebrating all aspects of live event production and management. This enables our members to deliver the very best work to their clients through collaboration, thought-leadership and idea sharing.